TDS TV on Demand brings some of the biggest films of the year to your living room. 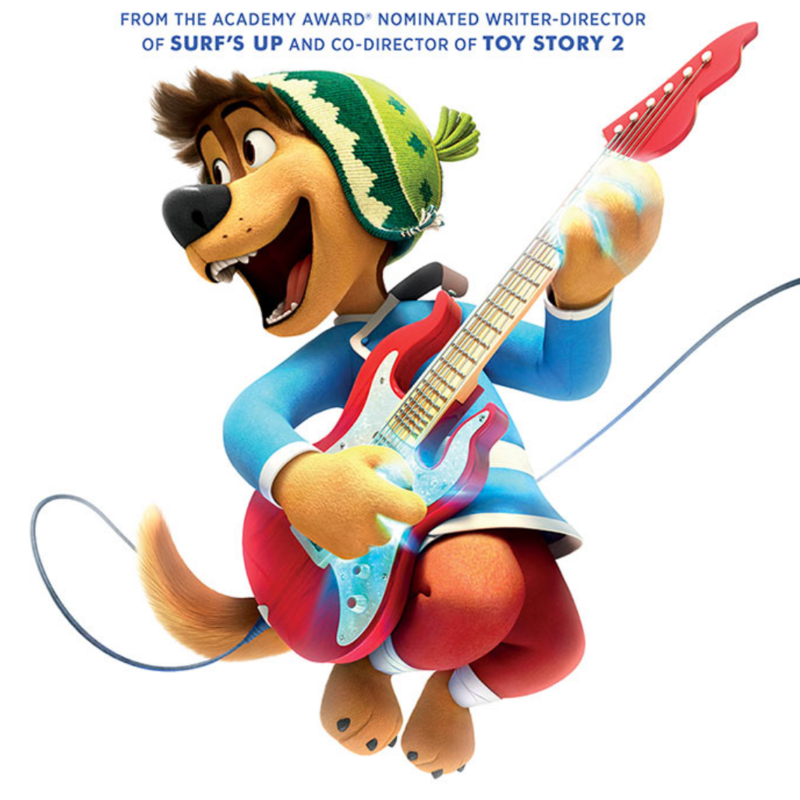 First, for the whole family, check out the animated musical “Rock Dog.” Next, on the superhero front, there’s the latest Marvel blockbuster, “Logan,” which features Hugh Jackman returning as Wolverine for a final outing. Fantasy movie lovers will enjoy Matt Damon in the visually stunning “The Great Wall.” If you’re looking for a good spiritual drama (and a good cry), you can visit “The Shack,” while on the opposite of the spectrum is the ribald “Fist Fight.” Finally, horror fans will love the genre-bending flick “Get Out” from writer/director Jordan Peele. Enjoyable animated film for the whole family about a Tibetan Mastiff who heads off to the big city to follow his passion—music. “Rock Dog” may not be a classic, but it’s fun and breezy. The talented voice cast includes Luke Wilson, Eddie Izzard, J.K. Simmons, Lewis Black, Matt Dillon and Sam Elliott. “Get Out” may well be the smartest horror film made in a long time. Writer/director Jordan Peele has put together is creepy thriller that alternately weaves in potent doses of comedy and satire. The film is about a young African-American man who visits his girlfriend’s mysterious family estate for the first time. It is a fresh and wickedly fun movie that deals its cards on so many levels. Daniel Kaluuya, Allison Williams, Catherine Keener and Bradley Whitford star. Matt Damon stars in this period action/fantasy film, about a group of European mercenaries who become involved in defending the legendary Great Wall against a horde of monsters. The film is hampered by a clunky plot, but that won’t stop you from enjoying this visually dazzling romp. Hugh Jackman’s swan song as Wolverine (he has played the character in nine films) is perhaps his best. In this latest turn, Logan (aka Wolverine) is hiding out on the Mexican border with an ailing Professor X (Patrick Stewart). Mutants are nearly extinct – and Logan’s regenerative powers are fading. Enter a young mutant in need of help escaping evil forces – and you have one of the most brutal and satisfying action films of the year. Be wary – unlike many other superhero films, “Logan” is R-rated due to the violence – so it is not for kids. “The Shack” is a moving film about a man wracked with guilt over the abduction of his young daughter. Sam Worthington plays the father consumed by grief – until one day he receives a letter he believes is from God – instructing him to go to the shack where it is believed his daughter was murdered. And that begins a journey that will transform and enlighten. “The Shack” is slow-moving and a bit heavy handed at times, but its message about love, loss and forgiveness is heartfelt and honest. Octavia Spencer and Tim McGraw co-star. Available May 30. Rated R.
Teacher Andy Campbell (Charlie Day) accidentally causes his co-worker (Ice Cube) to get fired. The result is a challenge to an after school fight. “Fist Fight” won’t win any Oscars, but amid the crude and silly slapstick and mile-a-minute gags is an often very funny film – especially as it comes to its conclusion. This is one of those movies that we recommend watching the trailer – and if it strikes your funny bone – then check it out. Tracy Morgan co-stars.